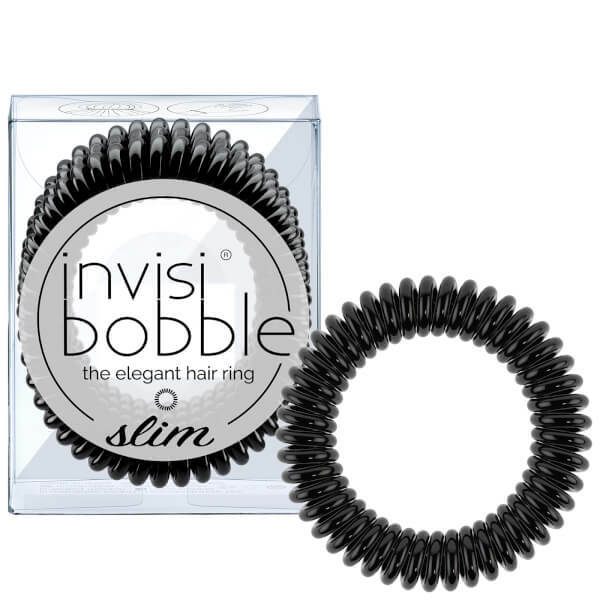 Create sleek office up-dos or messy buns with the invisibobble Slim Hair Tie in 'True Black'. The revolutionary hair tie is perfect for any style or occasion. 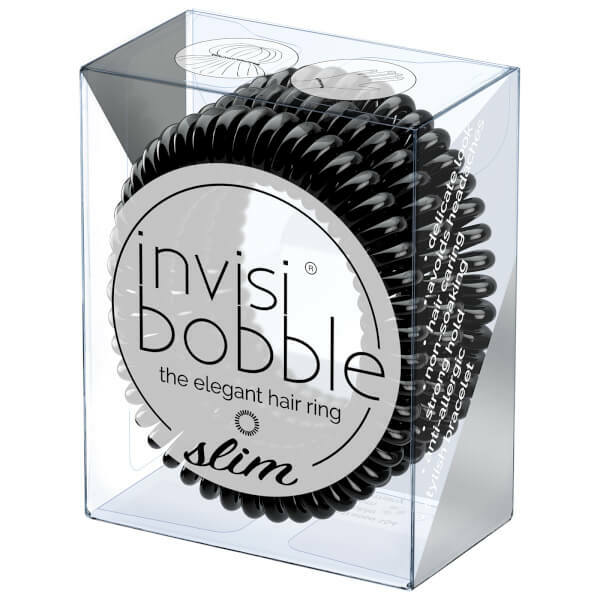 Ideal for holding hair in place without clips or pins, the slimmer bobble is made from an ultra-flexible coil with a comfortable shape to help prevent headaches and kinks. 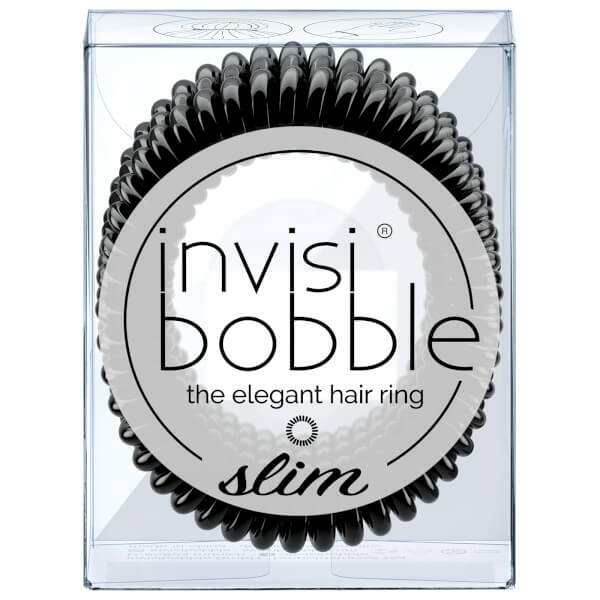 The non-soaking design and smooth surface means it will keep dry no matter what, helping to prevent tangles, breakage and split ends caused by snagging.